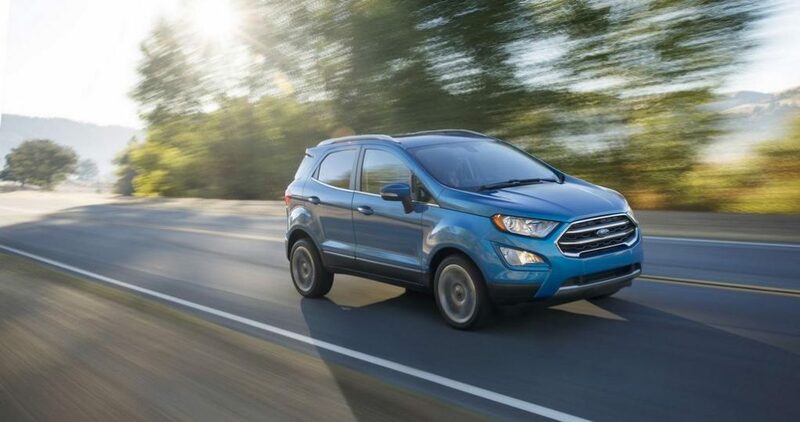 Ford India has announced the range expansion of its subcompact utility vehicle, the EcoSport, with the launch of a brand new range-topping Titanium+ petrol variant. Priced at Rs. 10.47 lakh (ex-showroom, pan India), the new trim comes coupled with the American auto major’s latest three-cylinder 1.5-litre Ti-VCT ‘Dragon’ petrol engine and a five-speed manual transmission. Ford says since the arrival of the facelifted Ford EcoSport in November 2017, customers have been demanding a top-of-the-line Titanium+ petrol manual variant and to delight them the SUV has also received six airbags. The Titanium+ variant adorns a bigger set of 17-inch alloy wheels that is claimed to enhance driving capabilities while offering better road grip. The petrol engine powered Titanium+ variant was until sold only with a six-speed automatic transmission and the introduction of a five-speed manual further enhances the number of buying choices for the customers. The naturally-aspirated petrol engine is powered by three-cylinders and is said to deliver fun-to-drive DNA. Compared to the old petrol engine, the smaller, lighter and efficient mill pumps out segment-topping 123 PS of maximum power and 150 Nm of peak torque with a 7 percent reduction in CO2 emissions. It has an ARAI-certified rated fuel economy of 17 kmpl. 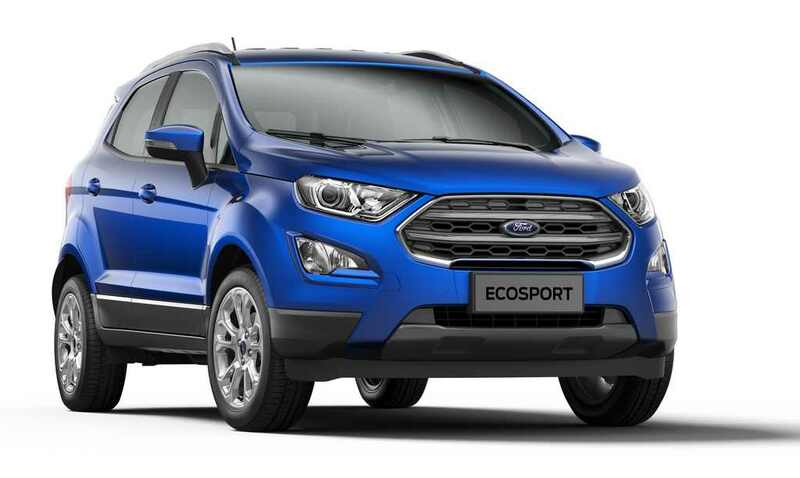 The Ford EcoSport is continued to be offered with the tried and tested 1.5-litre TDCi diesel engine that makes 100 PS and delivers 23 kmpl fuel efficiency. 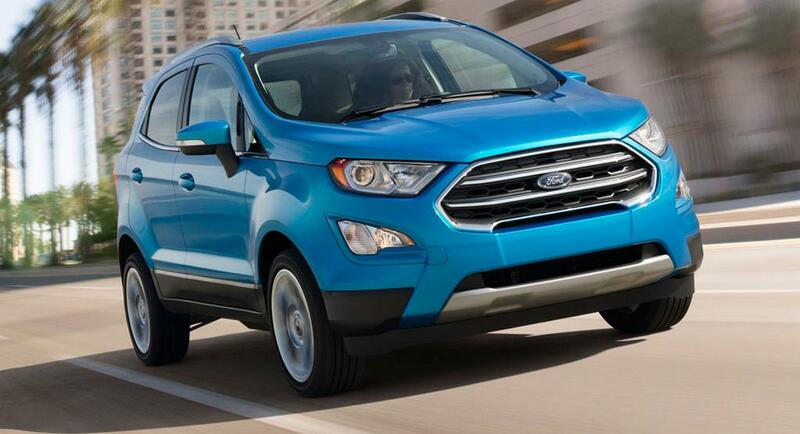 The EcoSport range currently starts with price of Rs. 7.76 lakh for the base Ambiente petrol and it goes all the way up to Rs. 11.30 lakh for the top-of-the-line Titanium+ petrol AT (both prices, ex-showroom New Delhi). The SUV started the new year with 6,833 unit sales and it was followed by 5,438 units last month. The EcoSport is facing heavy competition from the increasingly-popular Tata Nexon and Honda’s WR-V. Ford could be launching Titanium S grade and Signature Edition during the course of this year in India.